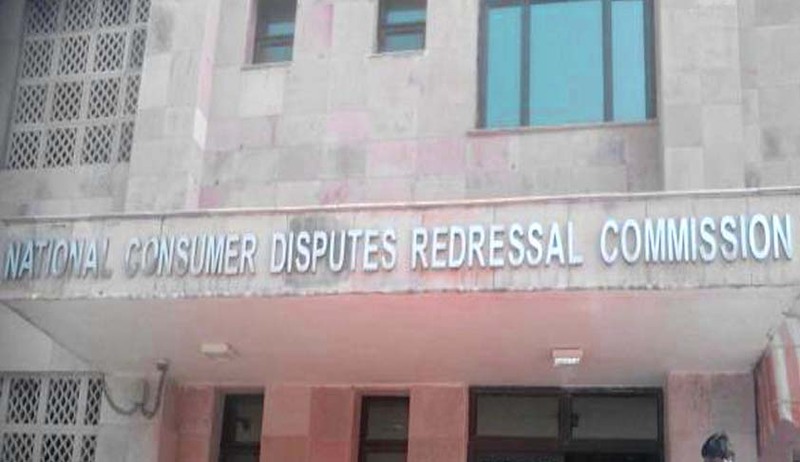 The National Consumer Disputes Redressal Commission (NCDRC) has held that a complaint under Section 12 (1)(c) of the Consumer Protection (CP) Act can be filed only on behalf of or for the benefit of all the consumers, having a common interest or a common grievance and seeking the same/identical relief against the same person. It has also been made clear that in a class action suit (complaint) instituted under Section 12(1) (c) of the Consumer Protection Act, the pecuniary jurisdiction is to be determined on the basis of aggregate of the value of the goods purchased or the services hired or availed by all the consumers on whose behalf or for whose benefit the complaint is instituted and the total compensation claimed in respect of such consumers. A complaint under Section 12 (1)(c) of the Consumer Protection Act can be filed only on behalf of or for the benefit of all the consumers, having a common interest or a common grievance and seeking the same / identical relief against the same person. Such a complaint however, shall not be deemed to have been filed on behalf of or for the benefit of the consumers who have already filed individual complaints before the requisite permission in terms of Section 12(1) (c) of the Consumer Protection Act is accorded. A complaint under Section 12 (1) (c) of the Consumer Protection Act is maintainable before this Commission where the aggregate of the value of the goods purchased or the services hired or availed of by all the consumers on whose behalf or for whose benefit the complaint is instituted and the total compensation, if any, claimed in respect of all such consumers exceeds Rs 1 crore. The value of the goods purchased or the services hired and availed of by an individual consumer or the size, or date of booking / allotment / purchase of the flat would be wholly irrelevant in such a complaint where the complaint relates to the sale / allotment of several flats / plots in the same project / building. It is the value of the goods or services, as the case may be, and not the value or cost of removing the deficiency in the service which is to be considered for the purpose of determining the pecuniary jurisdiction. The interest has to be taken into account for the purpose of determining the pecuniary jurisdiction of a consumer forum. The consideration paid or agreed to be paid by the consumer at the time of purchasing the goods or hiring or availing of the services, as the case may be, is to be considered, along with the compensation, if any, claimed in the complaint, to determine the pecuniary jurisdiction of a consumer forum. In a complaint instituted under Section 12(1) (c) of the Consumer Protection Act, the pecuniary jurisdiction is to be determined on the basis of aggregate of the value of the goods purchased or the services hired or availed by all the consumers on whose behalf or for whose benefit the complaint is instituted and the total compensation claimed in respect of such consumers. A complaint under Section 12(1) (c) of the Consumer Protection Act can be instituted only by one or more consumers, as defined in Section 2(1)(d) of the Consumer Protection Act. Therefore, a group of cooperative societies, Firms, Association or other Society cannot file such a complaint unless such society etc. itself is a consumer as defined in the aforesaid provision. More than one complaints under Section 12(1)(c) of the Consumer Protection Act are not maintainable on behalf of or for the benefit of consumers having the same interest i.e. a common grievance and seeking the same / identical against the same person. In case more than one such complaints have been instituted, it is only the complaint instituted first under Section 12(1) (c) of the Consumer Protection Act, with the requisite permission of the Consumer Forum, which can continue and the remaining complaints filed under Section 12(1)(c) of the Consumer Protection Act are liable to be dismissed with liberty to join in the complaint instituted first with the requisite permission of the consumer forum. The bench also observed that exercise due care and caution while considering such a complaint even at the initial stage and to grant the requisite permission, only where the complaint fulfils all the requisite conditions in terms of Section 12(1) (c) of the Consumer Protection Act read with Order I Rule 8 of the Code of Civil Procedure. “It would also be necessary for the bench to either give individual notices or an adequate public notice of the institution of the complaint to all the persons on whose behalf or for whose benefit the complaint is instituted. Such a notice should disclose inter­alia (i) the subject matter of the complaint including the particulars of the project if the complaint relates to a housing project / scheme, (ii) the class of persons on whose behalf or for whose benefit the complaint is filed, (iii) the common grievance sought to get redressed through the class action, (iv) the alleged deficiency in the services and (v) the reliefs claimed in the complaint,” the bench added.